“Once driven to near irrelevance by the rise of Islamic State [ISIS/ISIL] abroad and security crackdowns at home, al Qaeda in Yemen now openly rules a mini-state with a war chest swollen by an estimated $100 million in looted bank deposits and revenue from running the country’s third largest port,” reports Reuters. The Yemen-based AQAP, considered the most dangerous branch of the jihadist group, has benefited from the political and security chaos in Yemen. A Saudi-led coalition that launched a military intervention in Yemen in March 2015 has been primarily focused on defeating the Iran-allied Shiite rebels known as the Houthis, who also control territory in the country. However, AQAP has emerged as the strongest jihadist group in Yemen, which is also home to ISIS terrorists. In late February, The Fiscal Times indicated that the al-Qaeda branch controlled more territory in Yemen than the Houthis and ISIS. “The campaign, backed by the United States, has helped Al Qaeda in the Arabian Peninsula (AQAP) to become stronger than at any time since it first emerged almost 20 years ago,” it adds. Capturing Mukalla, Yemen’s fifth largest city and the capital of the country’s largest province, in April 2015 was a major gain for AQAP, noted The Fiscal Times. 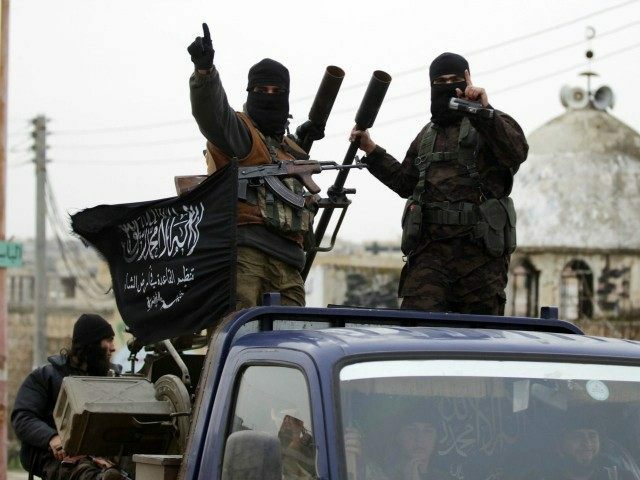 “The militants released 300 inmates from the city’s prison, including top al Qaeda’s commanders. They also captured several army camps with dozens of tanks, a military airfield, a presidential palace, an oil facility and the branch of Yemen’s central bank that held millions of U.S. dollars,” it reported. “Yemeni government officials and local traders estimated the group, as well as seizing the bank deposits, has extorted $1.4 million from the national oil company and earns up to $2 million every day in taxes on goods and fuel coming into the port,” adds Reuters. AQAP reportedly claims it has 1,000 fighters in Mukalla and controls 373 miles of coastline. A temporary truce between the internationally-recognized Yemeni government, led by President Abd-Rabbu Mansour Hadi, and the Houthis has already begun. The United Nations-brokered ceasefire is “mostly holding,” reports the Associated Press (AP), adding that both sides are accusing the other of violations. “The cease-fire is a precursor to peace talks, scheduled to begin next week in Kuwait, aimed at ending a brutal humanitarian crisis in one of the world’s poorest countries,” notes USA Today.